"When they first met, they grabbed each other and hugged for hours until they fell asleep." Almond had been beaten and bashed. Her left arm, left leg and jaw had all been broken. Almond was a long-tailed macaque monkey, and a baby at that. But instead of living in the forest with her mom as she should been, Almond was being kept as a pet by a family in Bali, Indonesia. A little girl in the family loved Almond dearly, but one afternoon she and her mother came home to find Almond lying on the floor, crying out in pain. The mother and daughter rushed next door to find Lisa, their Australian neighbor, and asked for her help. Lisa tried to get the story straight, but the mother and daughter - as well as other people in the neighborhood - told different versions of the story. Some people said that the girl's father had beaten the monkey up for tearing up a 50,000 rupiah bill (about $3 USD). Others said a family friend had injured Almond. Whatever had happened, Almond needed help - and quickly. When Lisa saw Almond's injuries, she whisked Almond straight to the vet. Macaques live in the forests in Indonesia, as well as other parts of Southeast Asia. 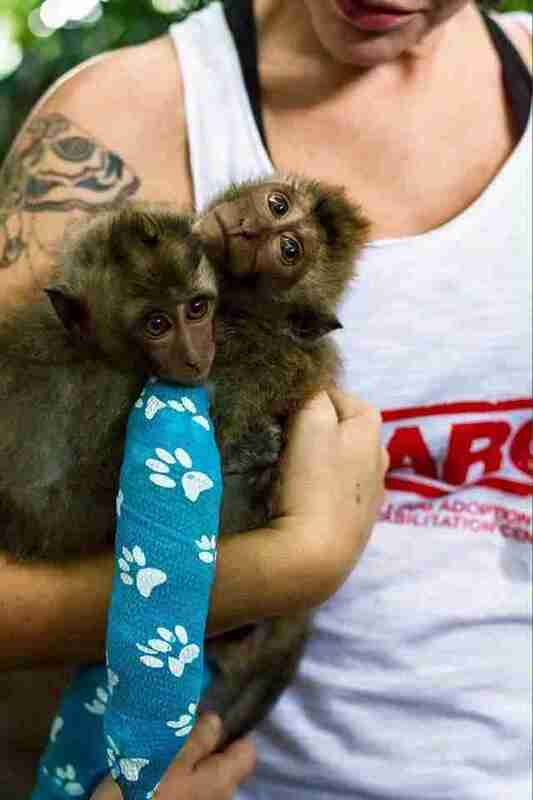 Yet people steal approximately 3,000 baby macaques from their natural habitat each year. 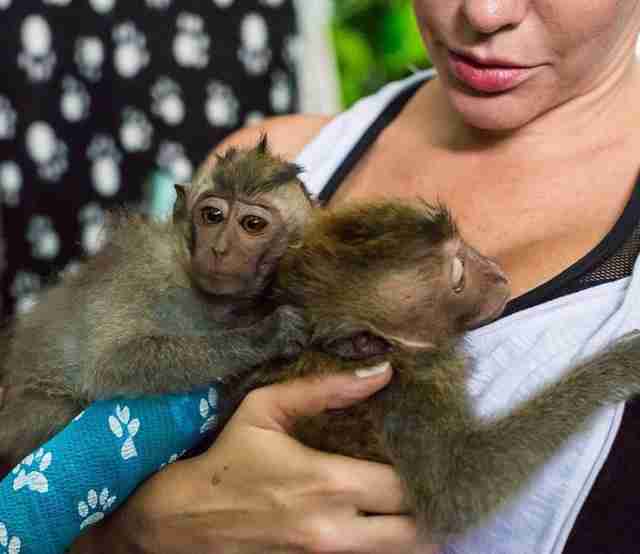 The majority of baby macaques are sold to pharmaceutical companies and universities to be used as test subjects; others are sold at wildlife markets as pets, or "trained" to become dancing monkeys. The problem is, macaque monkeys are considered to be a "common" species in Indonesia, so they're not protected under Indonesian law. That means that wildlife protection groups aren't able to stop them from being sold. While Almond was at the vet, Lisa called Linda Buller and Ebony Owens, who run Bali Dog Adoption and Rehabilitation Centre (BARC), and asked for their help. 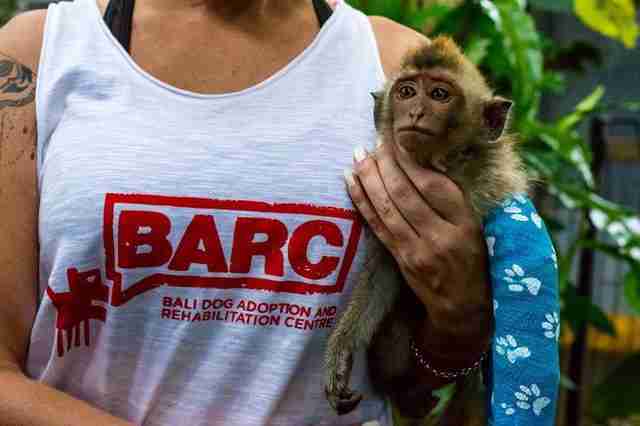 Besides rescuing and rehabilitating Balinese dogs, BARC also helps monkeys who have been kept in abusive situations. 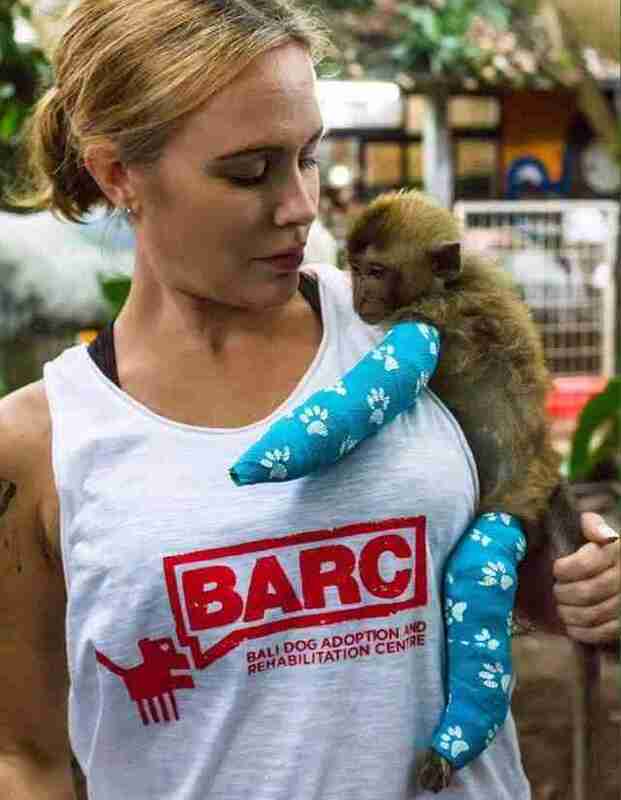 BARC is the only organization in Bali helping long-tailed macaques, Owens told The Dodo. 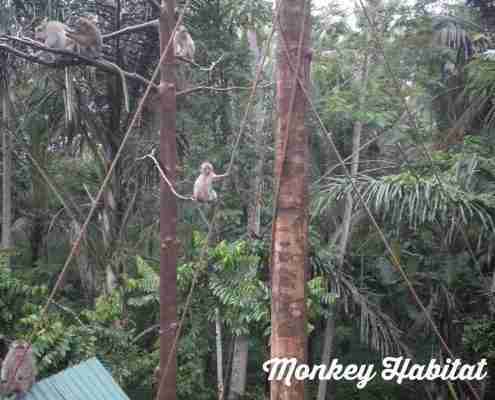 The group has a special open-air rehabilitation center for macaques at its sanctuary in Tabanan, where nearly 30 rescued monkeys currently live. 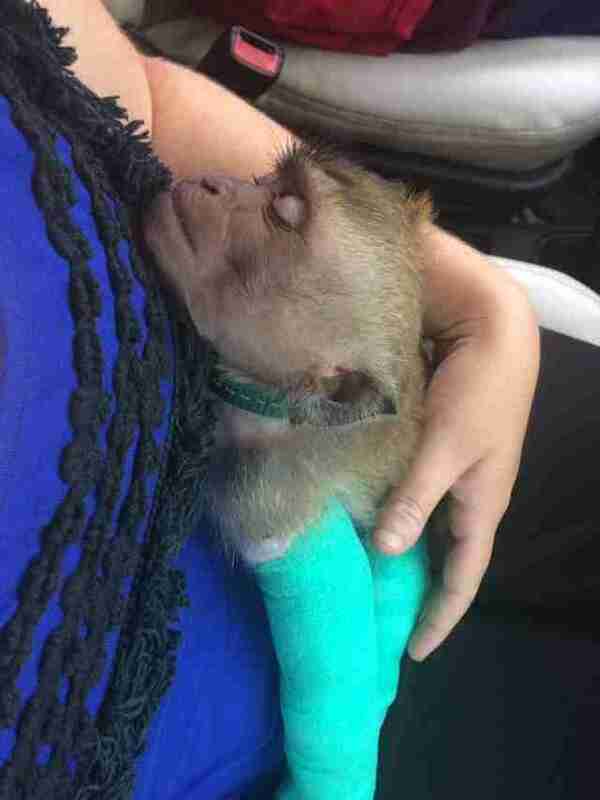 When Owens picked Almond up at the vet, she was surprised by the baby monkey's attitude. "She was very affectionate, and had such a sweet nature," Owens told The Dodo. "It's really sad what she's been through, but she still loves people." Cradling Almond in her arms, Owens drove Almond to BARC's sanctuary. It was here that Almond met Astuti, another long-tailed macaque. Astuti was 5 months old - about two months younger than Almond. But these two monkeys had similar histories. 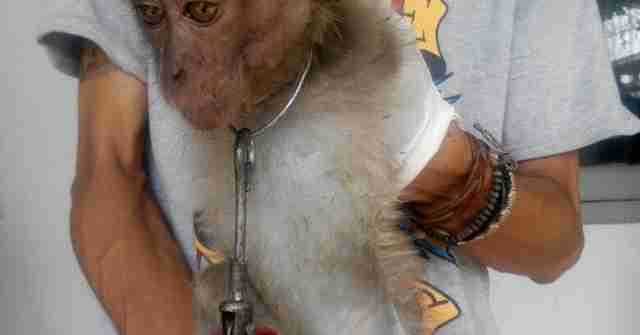 Like Almond, Astuti had been taken away from her mother, sold at a wildlife market and then kept as a pet. Astuti's owner hadn't physically abused her, but he'd neglected her. "Astuti is just another victim of the pet trade," Owens explained. "She was bought as a novelty pet but the interest soon wore off." 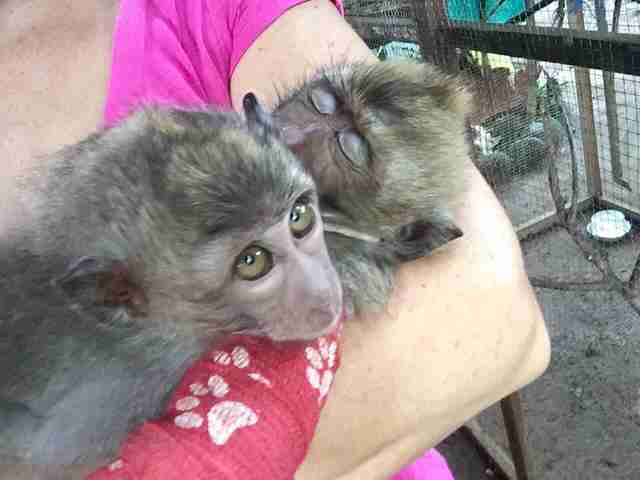 Since Almond and Astuti were both babies, they were placed in the same rehabilitation cage. They instantly clicked. "When they first met, they grabbed each other and hugged for hours until they fell asleep," Owens said. Soon they were inseparable - they played together, ate together and cuddled together, according to Owens. Almond also has taken on big sister role with Astuti. When Astuti is upset or scared, Almond will wrap her arms around her to comfort her. Almond also shares her food with Astuti and combs fleas from her fur, which is something her mother would have done. "I love that even after all she has been through, and even with a broken arm, leg and jaw, she is still more worried about her little sister Astuti," Owens said. "She knew she had to be the big sister and love her like the mother she cruelly lost." Owens expects both Almond and Astuti to make a full recovery. "They will eventually be released into a protected forest," she said. 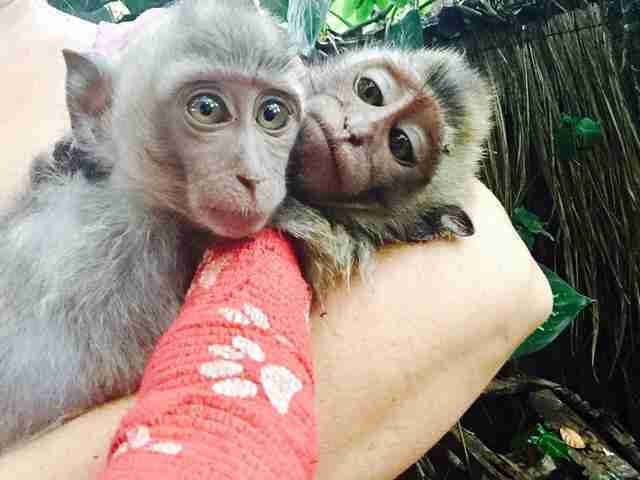 While Almond and Astuti have a bright future, other monkeys in Bali aren't so lucky. 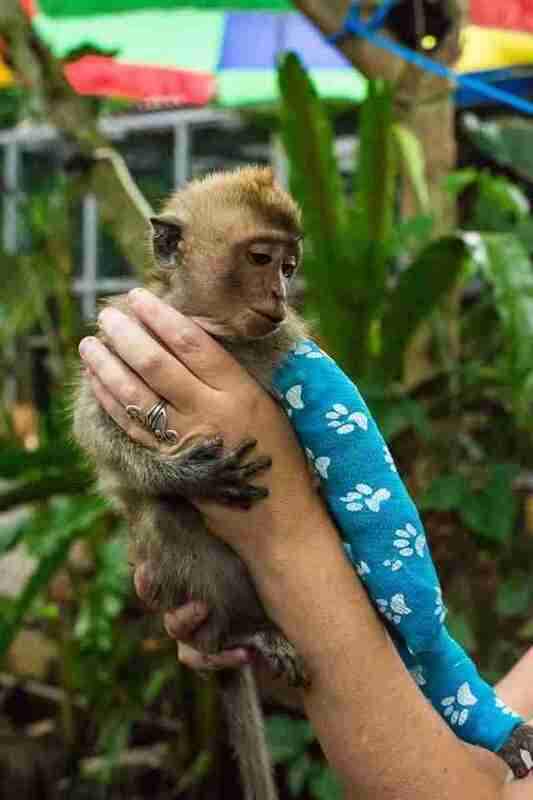 "Monkeys are not pets, and this is something we're dealing with on a pretty big scale in Bali," Owens said. "Anyone can buy a monkey at the market [for] between $20 and $60 dollars. We have tourists come over and buy a monkey for their holiday, or people buy monkeys at the markets because they feel sorry for them." "But for every baby sold, another wild baby has to be caught, and in order for that to happen, the mother is killed as well," Owens said. 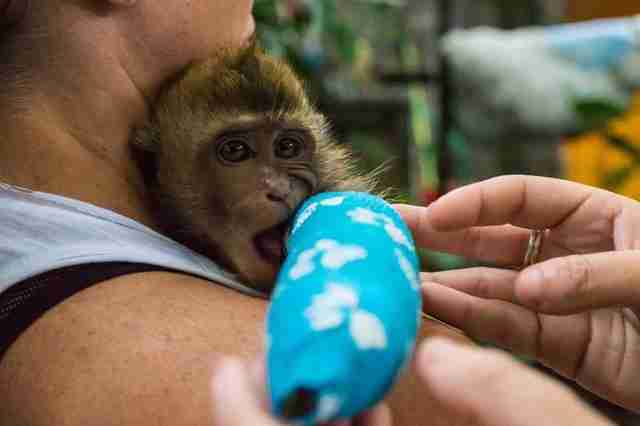 "Buying a monkey for $20 might seem like a good idea at the time, but it's not." 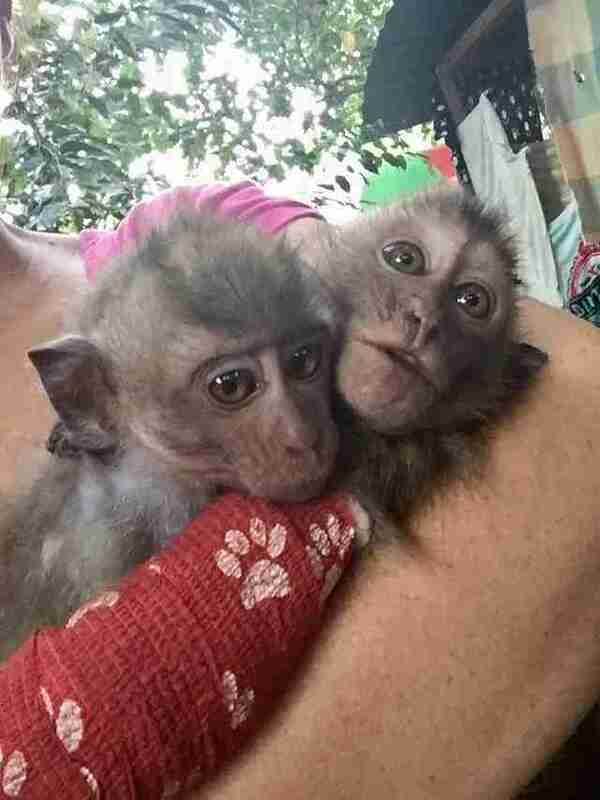 To help monkeys like Almond and Astuti - as well as the dogs and other Balinese animals BARC rescues - you can make a donation here. 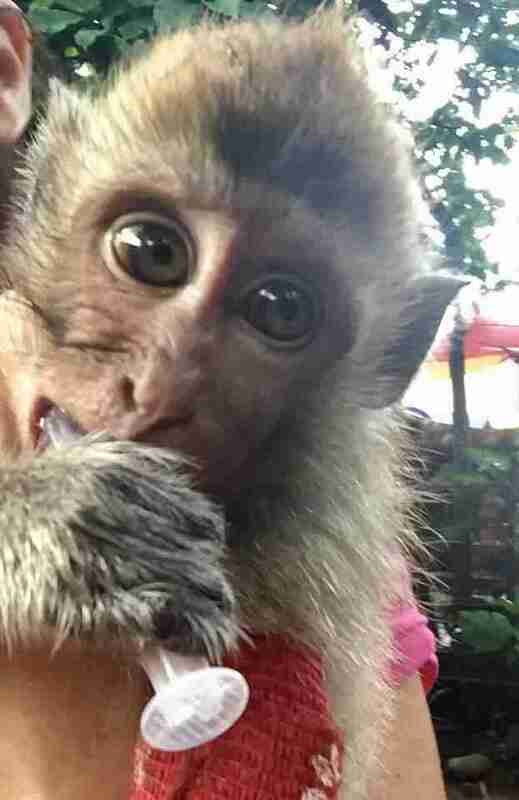 You can also sponsor one of BARC's macaque monkey residents here.